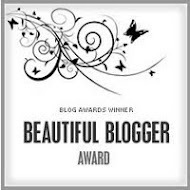 The most awaited round-up is here now. I got totally 97 entries from 51 participants. Thank you so much to all the participants. Today, I've posted soup/rasam entries alone. I got totally 30 soup/rasam entries. 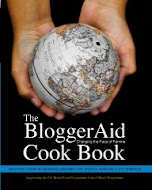 Every recipe is very innovative and the pictures are real feast for the eyes. 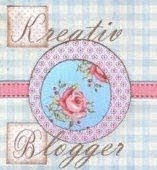 Spend some time to go through your fellow bloggers space to get the recipes for all these innovative dishes. If I've left any of your entry please let me know. 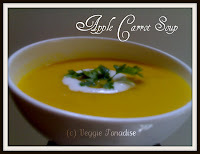 Jyoti shares a recipe for a very flavorful "Apple & Carrot" soup. She is sure that this rich in herbs soup would taste divine when served with Tomato toast. She shares a eye catching picture of her innovative recipe. Priya Suresh, who call herself "Rasam Priyai" gives us a recipe for slight sweet and sour"Green Apple and Dal Rasam". She is sure that this delicious rasam with hot steaming rice coupled with spicy potato toast would taste fantastic. Needless to say, her picture is as cute as always. Subhashini is happy to share Iyengar's "Pineapple Rasam" with us. She says it would taste too delicious when homemade rasam powder is used. She has presented the rasam picture so well. 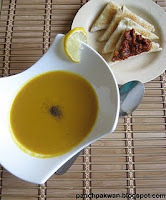 Priya Suresh's "Clementine & Pumpkin Soup" is marvellous with blended flavours of clementine and pumpkin. 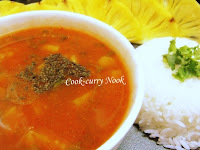 Her picture depicts the rich colour and taste of this unique combo soup. Pedhakka gives us her Granny's speciality recipe "Apple Rasam". Her rasam picture is as good as her recipe. 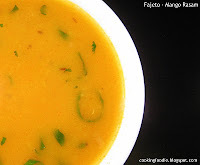 Padma's wonderful version of "Pineapple Rasam" tastes superb with the addition of mashed pineapple. The rasam is uniquely flavoured with tomato and garlic. Coriander granished rasam in the picture makes us drool. Nayna's "Pumpkin and Apple Soup" is a healthy flavourful soup. She shares us an eye catching picture of bowl of this colorful soup with bread pieces. Usha Nandini's "Orange Rasam" tastes sweet. The picture of the rasam is so beautifully presented. Gita's "Apple Rasam" tastes too good and is very aromatic with the addition of thalipu vadagam/vengaya vadam/seasoning vadam.The rasam picture is very beautiful. Gita's "Cranberry Rasam" tastes sour. The addition of garlic to the rasam gives nice aroma and flavour to the rasam. 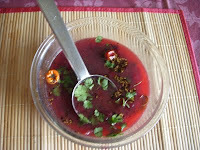 She shares a wonderful picture of her cranberry rasam. 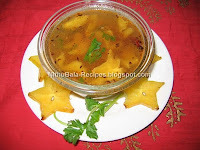 of Rasam with pineapple pieces that floats on the top is very nice. and pineapple. Her rasam picture with tempered mustard and ghee is eye catching. using sour apple in rasam. She shares us a nice picture as usual. the way she has presented the soup is very eye-catching. rasam. Here, she has not used any rasam powder. The picture is very attractive. Ns's "Pineapple Rasam" is very flavourful. The pineapple pieces in the rasam makes us drool. She shares a very perfect picture of her rasam. "Papaya and Carrot Cream Soup" from Prema is very tempting. She has presented the colourful soup so nicely with creamy hearts. 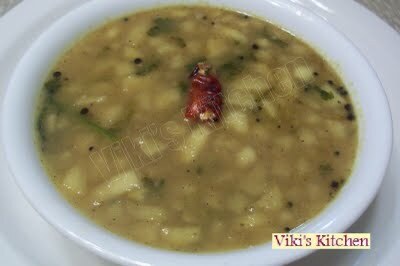 Viki defines her "Pineapple rasam" as superb healthy rasam as it helps in reducing body fat and also helps in digestion. She shares us a lovely picture of her pineapple rasam. Another yummy entry "Apple Rasam" from Viki tastes too good. She used sour apple in the place of tamarind to make this wonderful rasam. Shama's "Apple Rasam" is very delicious. 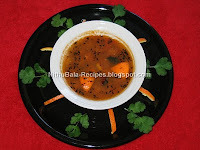 She shares us a wonderful picture of her rasam. Mallika's "Grape & Almond Gazpacho", a cold soup best suited to beat the high temperatures. This sounds really delicious. She shares a very beautiful picture of her soup. Cookie foodie's "Mango Rasam" is very aromatic and yummy.You'l be surprised to know that mango seeds are used for this rasam. Her presentation of rasam is too good. Kiran's "Spinach & Cranberry Sambar" is such a healthy soup.The picture of her soup looks too good. 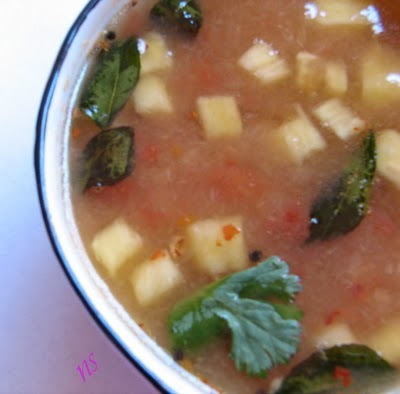 Meena's "Pear Rasam" is a very unique and flavourful soup. She has clicked a very nice picture of her rasam. Woww Nithu, wat a fabulous roundup, very innovative and creative soups, many to try out..
That was a great round-up of rasams. Appreciate your efforts. Looks like you have a very hard time to decide the winner. Everything looks nice and innovative. Wow...! its a feast for eyes...very tempting...great job...Congrats! Looks great, Nithu! Can't wait to see the others. Wow Nitu, so many fruit soup! Beautiful round up dear! Congarts! feast to our eyes indeed!! all soup n rasam looks delicious. Great roundup Nithu. All are tempting. Thanks for adding my entry. Wow nice collection of recipes with fruits.Keep it up.Waiting for more recipes. wow! delicious soups and rasams! looking fwd to the other recipes..
Nice round up Nithu.There are so many varieties in Rasaw WOW. 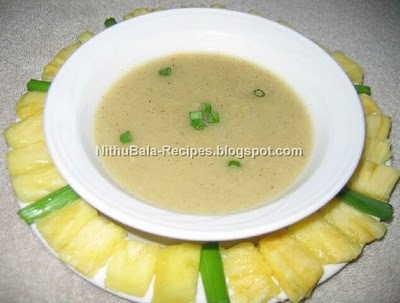 amazing recipes Nithu, who could think you can do so much with fruits in main course items. Very nice round up dear. Like the way you gracefully presented each and every recipe. Congrats! 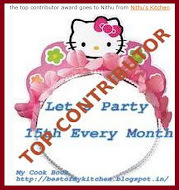 Wow Nithu,nice round up.Many recipes to cook and enjoy with fruits.So many creative cooks out there with creative recipes.Way to go.Waiting for the rest of the roundup. Nice round-up Nithu! These days people are very innovative in creating their own style of healthy recipes. 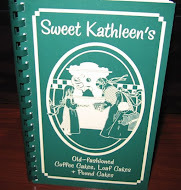 Its a pleasure looking at your event and the recipes! Waiting for the next round-up! 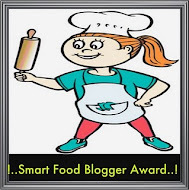 Very lovely round up,got to know so many innovative dishes using fruits..great one nithu..